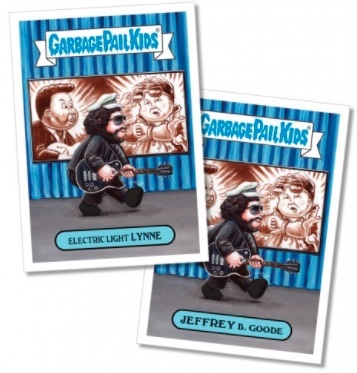 2017 Topps Garbage Pail Kids Rock & Roll Hall of Lame breaks down the winners (and losers) from the official induction event honoring music immortality. 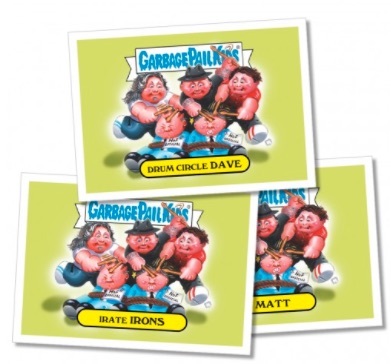 Taking a playful angle, the GPK and Wacky Packages stickers document many of the key names from the show. 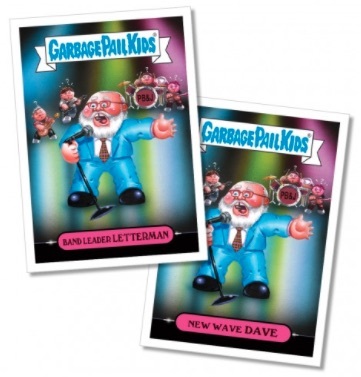 Whether it's a bearded David Letterman introducing Pearl Jam or Snoop Dogg speaking on behalf of Tupac, 2017 Topps Garbage Pail Kids Rock & Roll Hall of Lame did not concentrate just on the inductees. 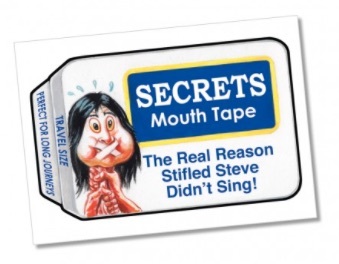 However, '17 hall of fame members Joan Baez, Pearl Jam and Electric Light Orchestra (ELO) earned their spots in the checklist, as well. 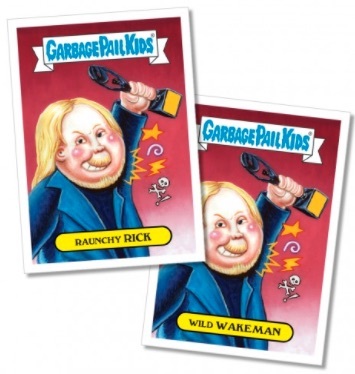 The 2017 Topps Garbage Pail Kids Rock & Roll Hall of Lame set is available for sale over a three-week period, ending after the HBO broadcast on April 29. 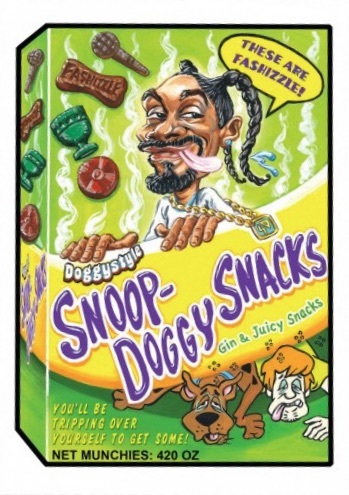 The full 17-card set sells for $44.99 while individual releases go for $9.99. 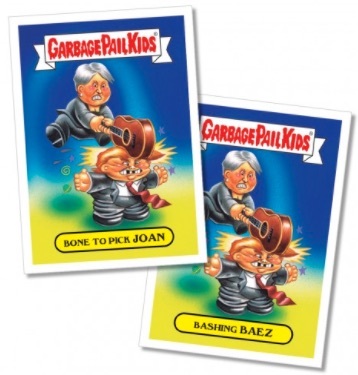 Each of the Garbage Pail Kids subjects have two cards with different captions, but the same image. 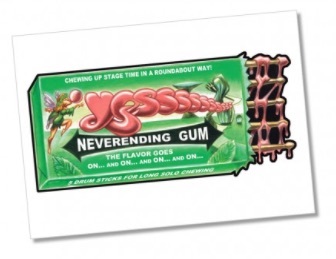 The main card for Pearl Jam has three versions for $14.99 while all the Wacky Packages feature one card for $9.99. 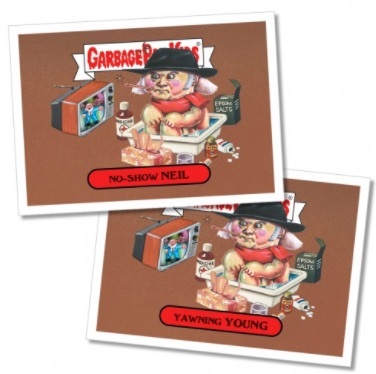 Once the selling window has ended, the cards will be shipped out and final print runs announced. 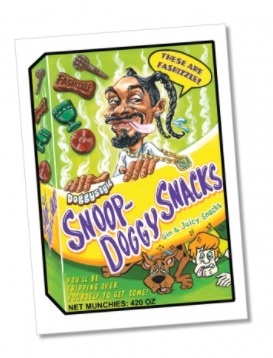 17 cards. 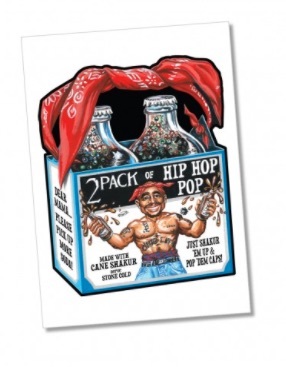 Shop for Rock & Roll Hall of Lame at Topps. 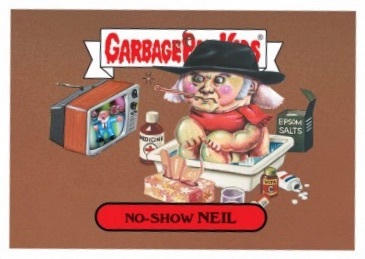 The titles are different but the images are the same for GPK cards (#1 to #6).